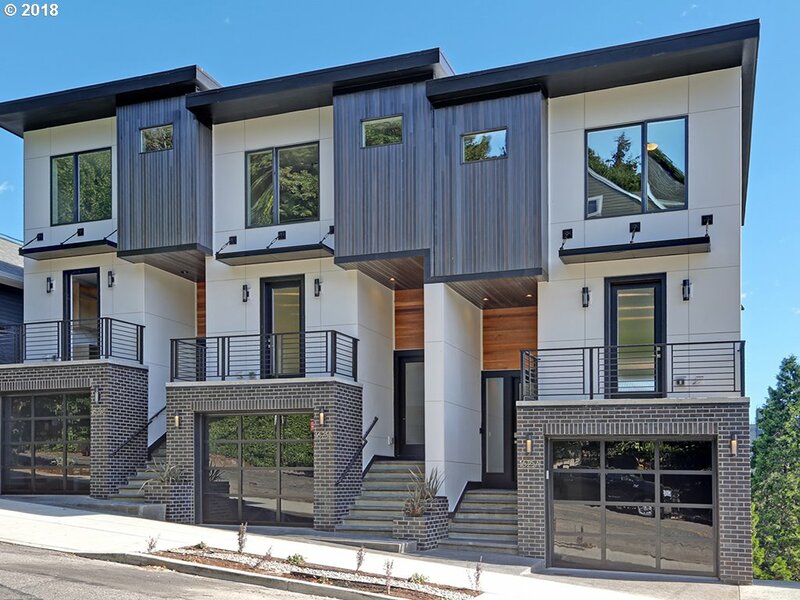 Description: Luxury 4-Story Townhomes With Separate ADU Apartments. 4 Bedrooms, 3.5 baths. Luxury Kitchen & Appliances. Beautiful City & Mountain Views. Minutes to Downtown. Low HOA dues. Description: Gorgeous new custom designed contemporary home in an exceptionally convenient location with only 8 homes. Fully loaded with many special touches. Quartz counters and stainless appliances in island kitchen, wine fridge, tile counters and floors in baths, 9′ ceilings on 2 levels, hardwood floors on main living level, mud set tile shower in master + soaking tub. ADU option. Description: Brand new home! 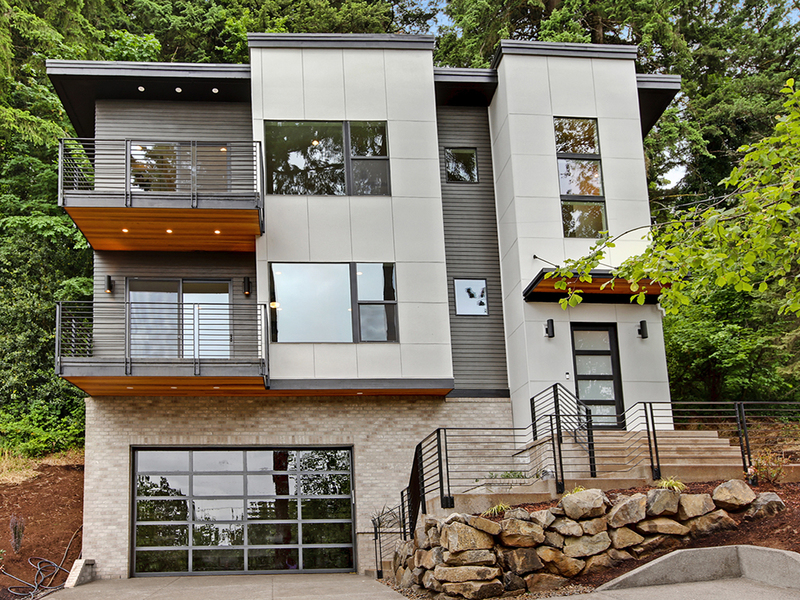 Gorgeous one of a kind contemporary home, conveniently located just minutes from Lake Oswego! Nestled on a private .56 acre lot. Be amazed by the truly custom, quality design. Gourmet kitchen with all high end appliances, features, and engineered bamboo flooring! Description: Exceptional quality Modern home in a superb location near Washington Park just minutes from downtown. Not only 5 bedrooms and 4 full baths but 2 spacious bonus rooms + a family room. Spectacular kitchen w/ Viking appliances, wet bar in family room, Smooth Wall (not convenventional) texture. Soaring ceilings. 2 covered decks w/ a verdant, private outlook. Custom closet cabinets.Spacious lower level has separate entrance (ADU/AirB&B?). Description: One of a Kind, New Contemporary Custom Home in a convenient, secluded and private setting with lake views. Quality finishes and materials with luxury details throughout. Separate lower level ADU with separate entrance. Fabulous modern kitchen with more amenities than most – “A Chef’s Dream” with full Viking appliance package. Great room with linear fireplace and views of the lake. Master bedroom w/ private deck and full amenities in the master bath. A Must See No Disappointments.